The aerospace and defense manufacturing industry has, for years, played a crucial role in protecting national security and bolstering a country’s global power and influence. It’s little wonder that nations across the globe are increasing their defense budgets each year, giving rise to ample opportunities in the aerospace and defense market. The global aerospace manufacturing includes the sale, design, and service of commercial as well as military aircraft. According to latest research reports, this market is expected to be worth more than $2o billion by 2022. Aerospace manufacturing comprises the production of general aircraft which is mostly for business use and space vehicles, usually satellites, for both military and commercial use. The defense manufacturing market, on the other hand, is dependent on the nation’s need for military weapons and systems designed to operate on land, sea, and in the air in order to defend themselves. According to some reports, the defense industry is expected to be worth more than $700 billion by the year 2026. Rising global tensions, increase in international terrorist acts and intra-national conflicts in some countries are some of the key drivers for growth in the aerospace and defense manufacturing market. There has been an increase in the defense expenditure globally, particularly in the US, UAE, Saudi Arabia, South Korea, Japan, India, China, and Russia. The commercial aerospace market is expected to continue its decade-long trend of above-average growth rates. This is driven by growth in passenger travel demand and accelerated equipment replacement cycle. Factors such as improving global economies, the emergence of low-cost carriers, and increasing demand for aircraft from the developing economies of China and India are further contributing to the aerospace industry’s growth. Looking for information on the aerospace and defense manufacturing market? Save research time by requesting a detailed report by Netscribes. 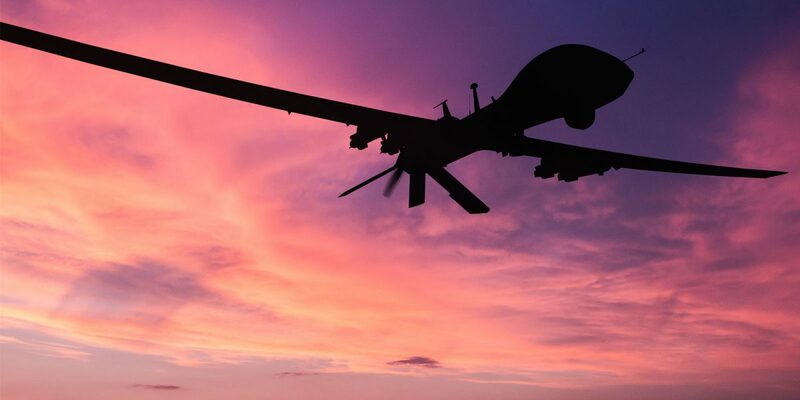 With the rise in national security threats, many governments are trying to provide their armed forces with modern defense weapons and implement technologies like cyber intelligence gathering, defense electronics, and precision strike capabilities. This has led to an increase in the defense budgets of countries like US, United Kingdom, France, Japan and several Middle Eastern countries. Defense contractors have been planning ahead by making investments in technologies such as autonomy, artificial intelligence, robotics and cybersecurity to bank on this rising trend. One of the biggest risks faced by the commercial aerospace industry is the ongoing shift in the relationship between aircraft manufacturers and their suppliers. This will lead to a negative effect on the suppliers’ revenue and earnings. The global defense industry, on the other hand, is also facing a huge challenge to remain profitable when there is a risk of a potential market decline and to cut costs in order to maintain a stable financial performance. Some of the key players operating in aerospace and defense manufacturing market are Boeing, Airbus, United Technologies, Lockheed Martin, General Dynamics, Northrop Grumman, Raytheon, Textron, L-3 Communications, Rockwell Collins, B/E Aerospace and Triumph Group. For a customized report on the aerospace and defense manufacturing market contact [email protected].